This thematic panel is to examine the interplay between the commodification of nature, value production, and state formation especially in Southeast Asia but possibly also in other regions. Southeast Asian countries are experiencing rapid transformations shaped by new dynamics involving investors from China and from the wealthiest ASEAN countries. The pace of change is fast, with high-tech special economic zones, extractive mining and hydropower enclaves, and large-scale agro-industrial land concessions emerging alongside smallholders or forest-dependent communities whose populations in Southeast Asia still number in tens of millions. New boom and bust cycles of industrial crops like rubber and oil palm are constantly re-shaping the rural landscapes. In the Southeast Asian resource frontiers competition over resources and land is high, the presence of the state is fragmented and uneven, and new property systems and legal arrangements are in the making. This panel aims to explore: How does rapid commodification of natural elements constitute or entangle with various processes of state formation in the frontiers of Southeast Asia? How do different actors and groups compete over different values and meanings of resources and with what effects? Conference details are available here. Myanmar is experiencing a complicated process of transition towards a civilian government, multi-party democratic elections, and peace negotiations. At the same time, the recent opening of the country has resulted in an accelerating rush for the rich natural resources, including a boom in extractive industrial and agribusiness projects. Most of these resources are located in the ethnic states and many of the grievances of the various ethnic communities are entangled with the questions of access to and control over resources. In this event researchers, NGO representatives and social movement activists discuss the ways that land and other resource rights should be addressed as a part of conflict resolution towards sustainable peace in Myanmar. The recent political changes in Myanmar has also meant a rush of different international development organisations to the country. Recently Finland too has decided to focus its support in Southeast Asia to Myanmar. The event includes a panel discussion on the Finland’s future role in Myanmar with perspectives from civil society, ministry officials and private sector. 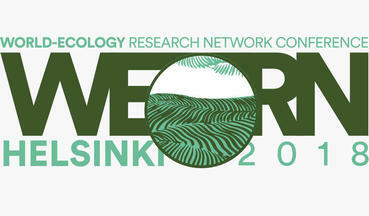 *This event is a side event of the 4th Annual World-Ecology Research Network Conference that takes place this year in Helsinki (15-18 August). Event details are available here.